Before the sun rose on the 7th of July 2013, thousands of people were gathered at Sri Pentas, Bandar Utama to sweat it out with friends and staff of ntv7, your ‘Feel Good’ station. It was the occasion of the 15th anniversary of ntv7 and also ntv7’s Feel Good Run. Malaysian Rare Disorders Society (MRDS) was fortunate to be chosen as one of the beneficiaries of this charity event. The other beneficiaries were Hospis Malaysia, Rumah Kanak-Kanak Tengku Budriah and SPCA Selangor. 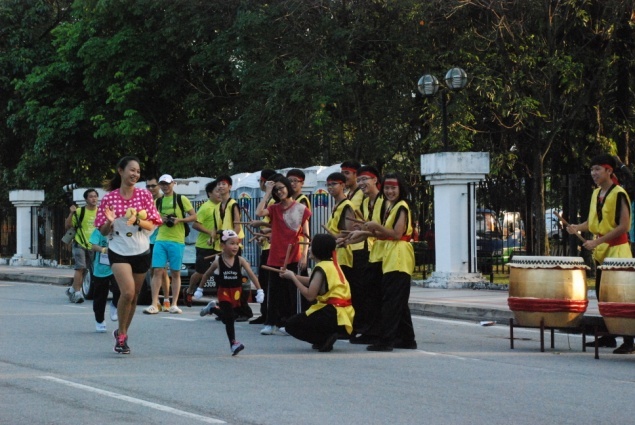 The participation of more than 5,000 runners reflects the support and affirmation of the community for ntv7, the charities and their good work. At MRDS, this means a lot to us. The event ended by noon the same day and it was a morning well spent. Kudos to ntv7 and their team for firstly, being sensitive and aware of the needs of the various charities. Secondly, enabling the community to be part of these various charities. Thirdly, doing all this good work while keeping everyone in good shape and in a feel good atmosphere.